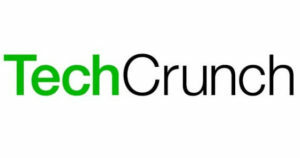 TechCrunch, a prominent technology news portal owned by Verizon, is the latest hacking victim of the group OurMine. OurMine is a hacking group that recently commenced a spate of what is now turning out to be high profile hacking incidences. 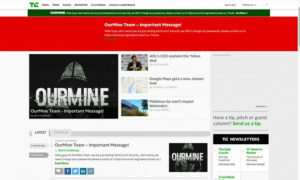 OurMine gained publishing access to TechCrunch’s WordPress site and posted its message that many are now familiar with. OurMine posted the message under the byline of TechCrunch’s Seattle-based staffer Devin Coldewey, warning the site and readers alike, that they breached the site just to test its security and that they did not change any passwords. This hack in particular almost affirmed OurMine’s tagline as an elite hacking outfit responsible for many hacks that identify vulnerabilities existing in major systems. It as such was not particularly malicious. If anything, it almost seemed polite because instead of OurMine defacing the website completely, they just posted a story to make their breach evident. The post appeared for about two hours before the TechCrunch crew took it down. 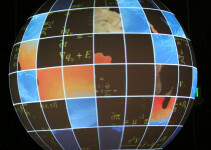 TechCrunch downplayed the effect of this hacking. Engadget, their sister company, said on their behalf, that due to the limited nature of the hacking, TechCrunch had rolled back the changes that OurMine introduced on their website. Engadget further stated that TechCrunch deleted the erroneous post a short while after it appeared and that it took down the banners and additional items OurMine may have added to the website. TechCrunch says all their systems are back to normal though they are still trying to found out what happened. The hacking of TechCrunch becomes the latest in OurMine’s portfolio, which includes online accounts of influential names and entities. The hacking group compromised both Quora and Twitter accounts belonging to Google Chief Executive Pichai Sundararajan, where they posted almost a similar message as they did on TechCrunch. They also hacked venture capitalist Mark Suster, and, they claim responsibility for the breaches in the Twitter accounts of Mark Zuckerberg and his sister Randy. Other victims of OurMine are actor Channing Tatum, Chief Technology Officer at Amazon Werner Vogels and Daniel Ek, the founder of digital music service Spotify. They also claimed responsibility for the recent DDoS attack on the servers of the newly released Pokémon Go. It is worrying that OurMine brags about these hacks on its website and yet it touts itself as a security outfit. 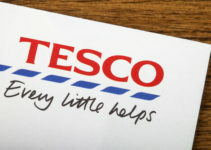 The company offers personal as well as enterprise security checks. They charge $1,000 to conduct a website scan while a full company audit goes for $5,000. Since OurMine indicates on its website that it offers industry-leading vulnerability assessments, these hackings may be nothing more than a public relations stunt to help them hook in more customers. Wired has quoted an anonymous member of the group who said that the hackings of online profiles of top executives is a way of teaching everyone with an online presence, some valuable lesson. He mentioned that OurMine does not need the money but rather sells the said services because there is a great demand now. Though he tried to present OurMine as a white hat hacking entity, not many people agree with this evaluation. White hat hacking mainly serves purposes of defense as well as unearthing vulnerabilities to create solutions. Black hat hacking on the other hand, mostly applies in cases of espionage, disruption and other forms of online crime. Wired has reason to believe that OurMine’s activities fall in the gray area between these two forms of hacking.